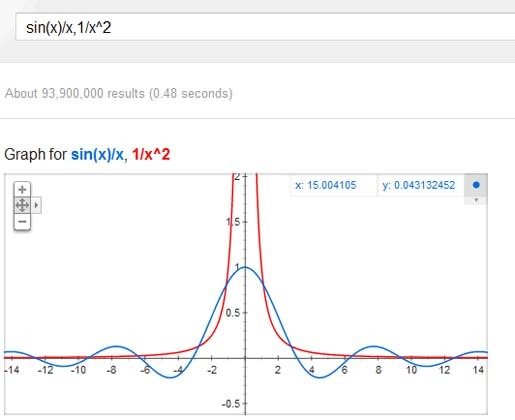 Now, it isn’t required to use Wolfram Alpha to plot Math graphs as Google has shown an interactive graph when you search for a Math function or a list of functions separated by commas. "You can zoom in and out and pan across the plane to explore the function in more detail. 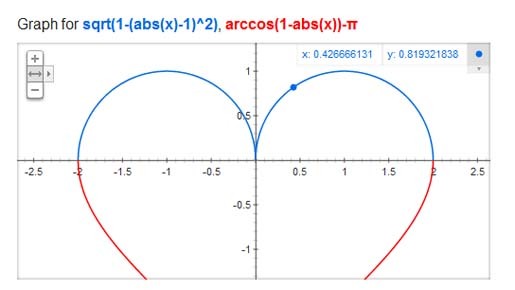 This feature covers an extensive range of single variable functions including trigonometric, exponential, logarithmic and their compositions, and is available in modern browsers," explains Google. You can check out the following example: you can search for [sin(x)/x, 1/x^2] to see this beautiful SVG graph. At the same time, you can also search for [sin(x) from -pi to pi] or add extraneous words like "plot", "graph" to the query (example: [graph ln(x)]).